These stylish rugby trophies are suitable for a wide range of awards, from individual player achievement to team or event prizes, and for both male and female recipients. Crafted in durable resin with an attractive bronze and silver colour finish, they feature a rugby ball enclosed by a ribbon motif holding a laurel wreath medallion frame. The medal holder can hold a 1in rugby theme centre. 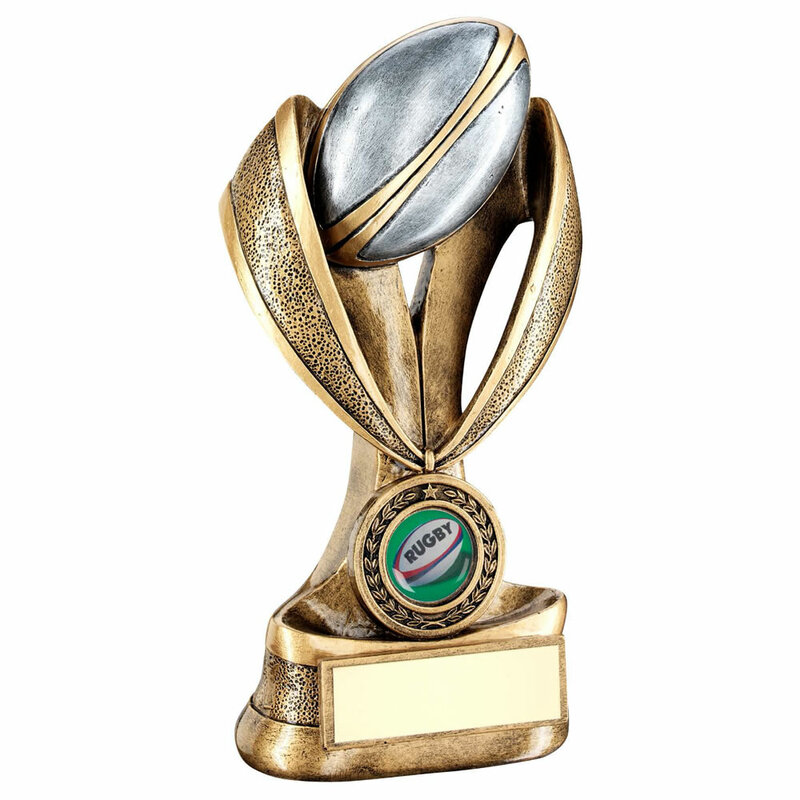 Available in four sizes, these rugby trophies are offered with engraving options for the base plaque.